Excuse the changing colour of my wall in these photos! The light is very temperamental at the moment. 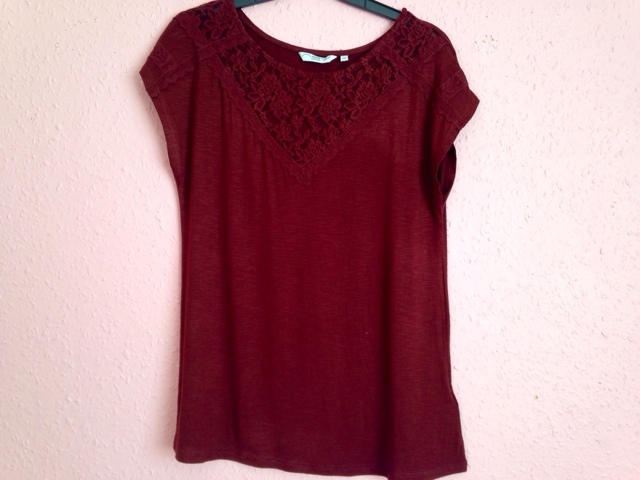 The first thing I bought from Topshop is this blouse, which has 3 different colours. 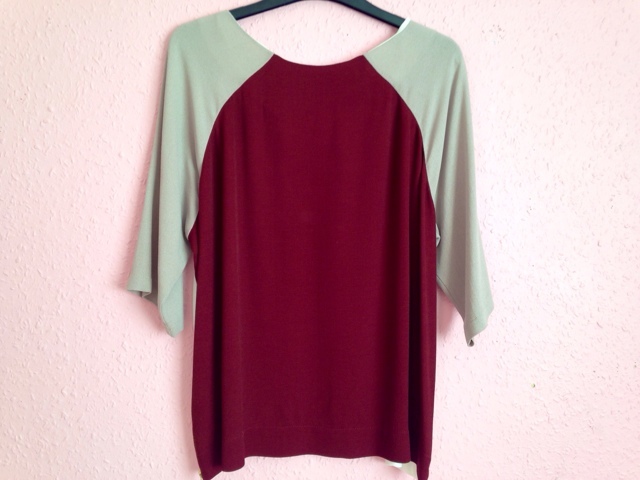 The sleeves are beige with a cream front and burgundy back. I thought this looked really smart - good for both daytime and nighttime. I couldn't find this on the website but there were loads left in store so I'm sure you'll find them if you have a rummage. This is from New Look and was on sale from £19.99 to £7. 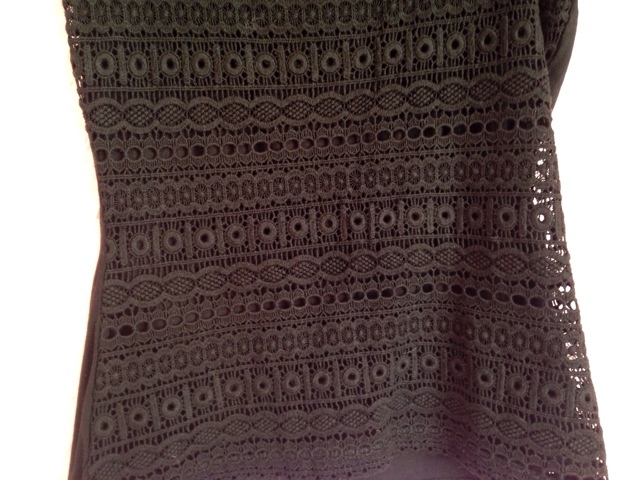 It's got black lace (you can see the detailing in the second picture) and chiffon. This is another thing you can wear either night or day. I really liked the lace detail on it, especially when paired with the chiffon. For £7 it's an amazing price and you can find it HERE. I'd 100% recommend the New Look sale but the queues are massive and a lot of the clothes only have big sizes left. 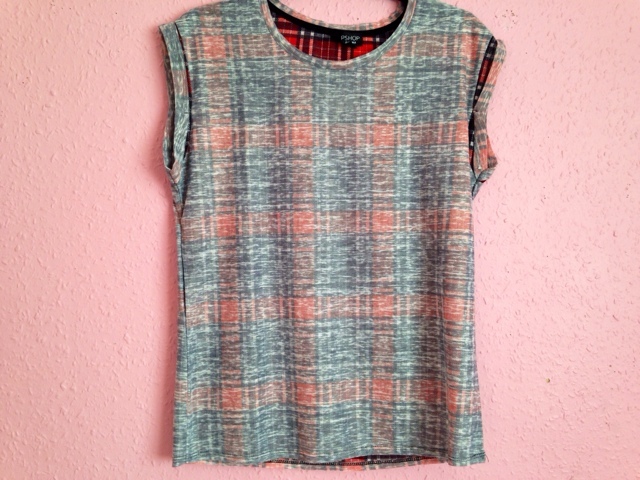 As soon as I saw this tartan tee in Topshop I knew I had to have it! It's got a cool reverse print effect - it looks like it's inside out because the tartan is much more visible on the reverse side of the tee. I don't think I have any tartan in my wardrobe even though it's very popular at the moment. This was £18, which isn't too bad! You can find it HERE. It's a baggy top so if you're buying it from the website you should stick to your size. I went for an 8 and it fits perfectly! This is another New Look t-shirt and it was only £4 but it's advertised at £5 on the website. 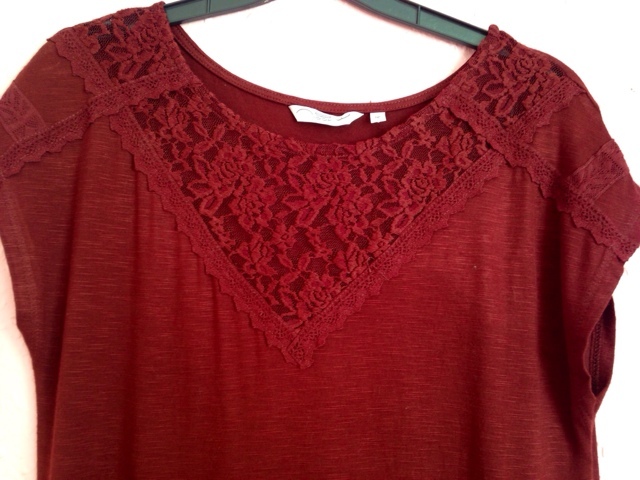 The neckline has crochet lace, with some detailing on the sleeves. I'm loving burgundy tones right now - it's a very autumnal colour that has passed through to winter. 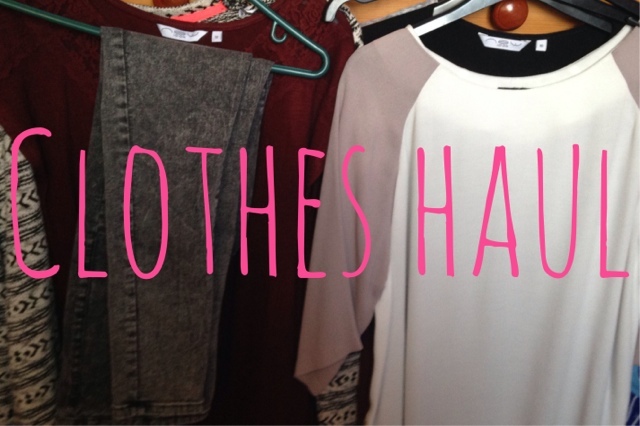 Burgundy and lace seem to be quite common in this haul! 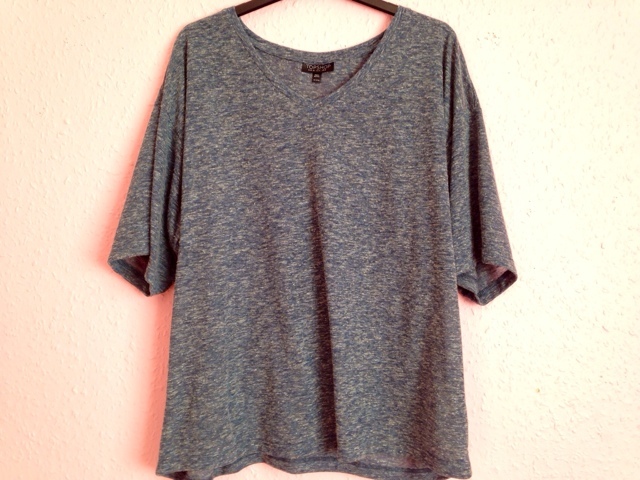 The last tee is a Topshop one and it is sooooo cosy. It's a slouchy linen t-shirt and is oversized with a v neck. I have really sensitive skin so I can't wear harsh fabrics, therefore this is perfect for me! I've already worn it for a quiet night in with my boyfriend. We watched Sinister and I sweated buckets throughout because I was so nervous. 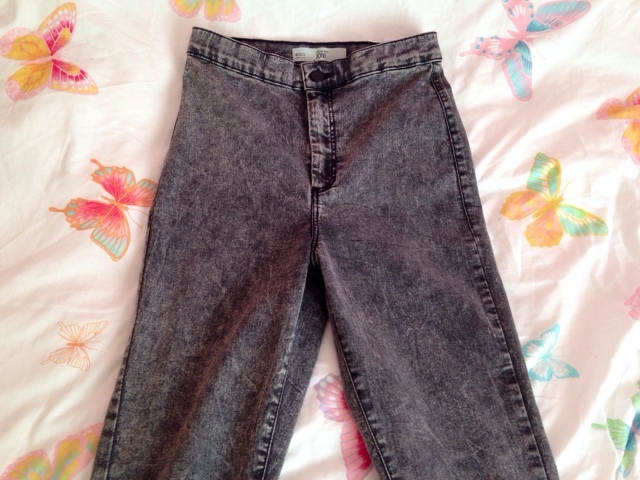 My mum and I each bought a pair of these Black Joni high waisted jeans from Topshop. I love Topshop jeans more than any other brand because they actually fit me. Usually, my jeans gather at the bottom because I have bigger hips and shorter legs. These are meant to be black but they look grey to me. They cost £36 and you can find them HERE. I'm also eyeing up the green pair! 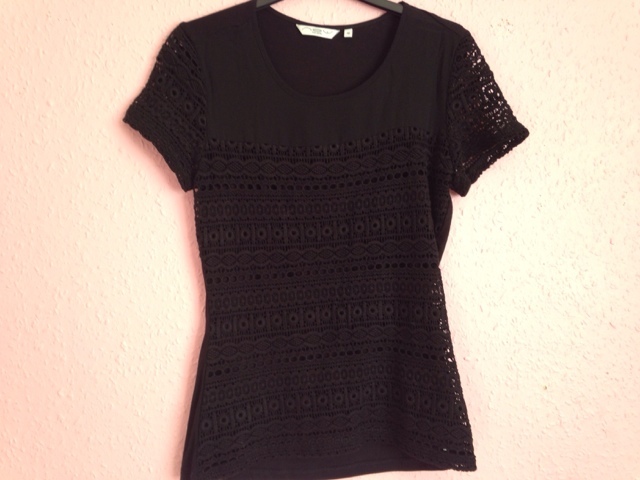 This is the only sale piece I bought from Topshop. 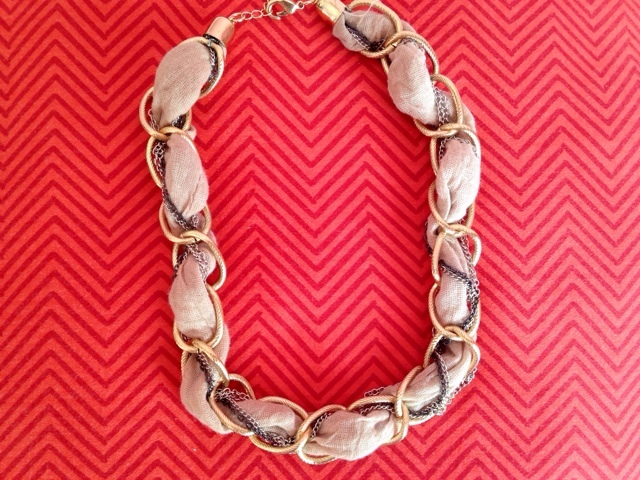 I love their jewellery, and this necklace was on sale for £8 so I snapped it up quickly. I like the cloth detailing around the gold chains. This was a lovely treat after banning myself from spending money throughout December. Did you bag any bargains in the sales? Let me know in the comments!